You are here: Home / Family Living / Household Hacks / 18 Beauty And Makeup Hacks To Stretch Your Money! I thought it might be fun to share some easy beauty tips that can help make this part of our lives less expensive. 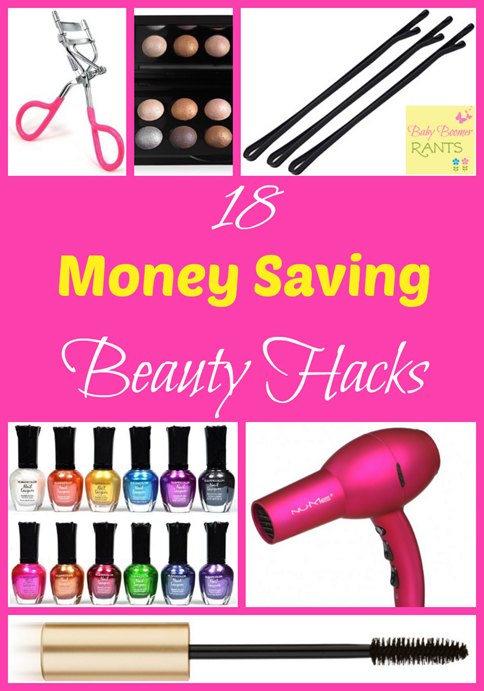 So, here are 18 Beauty And Makeup Hacks To Stretch Your Money. When I was 18 I went Cosmetology school and got my license. For years I worked in hair salons and learned quite a few tricks from make up artists I worked with. Over the years I have learned even more from friends, and today my daughter and grand daughter shared some fun tips with me, too! Mix your liquid foundation with your moisturizer to kill two birds with one stone and make both go further. When my kids were little I always bought gallon bottles of shampoo from my local beauty supply and diluted it with water, half and half. It lasted a long time! Use a cotton swab to dig out the last pit of lipstick, gloss, eye shadows, lotions, almost anything to get that last little bit. I saw this tool on Shark Tank for that, too: Spatty Daddy. Mix lipstick or gloss colors when you get tired of one or don’t like it to make a totally new color. Add a few drops of contact solution (saline) to your mascara to get the clumps out and make it like new. Heat up lipstick with a blow dryer before applying it and it will last longer, like a lip stain. 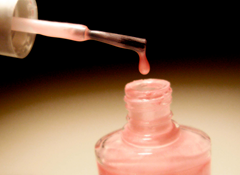 Make sure to use a lip brush or cotton swab to apply it when it’s heated. Apply lotion immediately after showering while your skin is still damp to help the lotion absorb and go further. Wet your eye shadow brush before applying your shadow. It makes it darker and will allow you to use less to achieve the look you want ultimately making your eye shadow last longer. Heat up liquid eyeliner with a blow dryer before applying, it helps it set better and goes on smoother. Always store shampoo, conditioners, and body wash upside down to help get it out quicker and ultimately use every last drop. Cut makeup or lotion tubes open to get the very last of the product out before tossing in the trash. Or get a Spatty Daddy to help! Cut makeup sponges in half to get twice as much for your money. 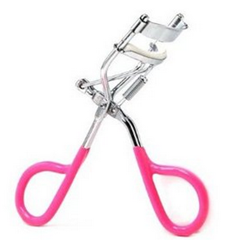 Heat up your eyelash curler with a blow dryer making them curl faster and stay curled longer. Don’t get them too hot, you might burn yourself. Apply baby powder or translucent powder to your eyelashes between mascara coats to get fuller looking eyelashes. Use old eye shadows to make new cool shades of nail polish. Just crush up your old powder eye shadows and mix with clear polish to create your own shade. 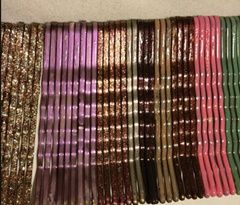 Paint a bobby pin with nail polish to give yourself a new cute hair accessory. Mix your face powder with your face moisturizer. It creates your own correctly/custom tinted foundation, which not only lasts longer, but saves lots of money, and keeps your skin smooth, moisturized and very young looking. (We do this with translucent powder). For me and my family it has made our faces, and necks, virtually wrinkle free, we get tons of compliments on our skin, (as it also does not clog our pores). This is a great tip! Thanks so much for sharing!